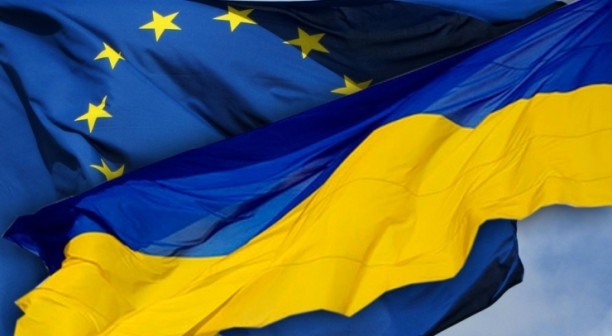 The economic attractiveness of the EU for Ukraine is, above all, the opportunity to join the high culture of efficient market economy and raise the same level of its own economy. Europe represents one of the scaled innovative solvent and markets. According to the Ukrainian Center for Social Research and the Institute of Ethnology of the National Academy of Sciences of Ukraine, the number of Ukrainian labor migrants is 4.5-5 million people. But there are calculations that testify to 5.5-7 million Ukrainian labor migrants. According to unofficial data, the majority of Ukrainians are working in Russia, however, according to the official - more in the EU. And those wishing to go to work in the EU even more - 63%. So, the Ukrainian labor migrants see the basic and legal labor market in the European Union. Even more impressive is the situation with remittances of Ukrainian labor migrants from abroad. From the EU countries to Ukraine, about 15 billion euros are received annually from labor migrants. According to IOM, the total income of Ukrainian migrants is about $ 35.3 billion a year, of which they annually transfer to Ukraine $ 20-25 billion, which is about 10-12% of the country's GDP. The average monthly salary in the EU today is almost Nine times higher than in Ukraine. Soon many Ukrainians, in pursuit of a higher standard of living and wages, will look for a job opportunity in Europe. Will this lead to the growth of the Ukrainian economy or to the leakage of valuable personnel? Very soon it will be seen. According to experts' beliefs, the European Union should be looked at, not as a "mutual aid fund", but as a school for effective innovative economy, high social standards, developed democracy and effective management of social development. European integration is a course for the implementation of European recipes for success on Ukrainian soil. It is also worth noting that Ukraine attracts foreigners with their vacancies. Foreign citizens most often work in the sphere of trade, catering (cuisine of the peoples of the world) and the service sector. For example, in exotic institutions (for example in Chinese restaurant or for Thai massage) often take personnel of a nationality for the entourage. Specialists of other spheres (accounting, medicine, etc.) do not much strive to work with us. But it's easier and cheaper to open your own business. Most often it concerns the restaurant industry and the provision of services - here in Ukraine there is a field for activities. The space for action on the Ukrainian labor market among citizens of other countries is wide. Experts note that the biggest problem for foreigners on the way to official registration is a long bureaucratic procedure, because of which the employer can not always receive the necessary documents. However, specialized companies, like ABEA relocation, will help to get a work permit in Ukraine.